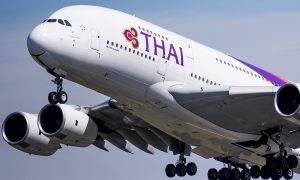 Boeing and Thai Airways celebrated the Thai flag-carrier’s 75th direct delivery of a Boeing airplane. 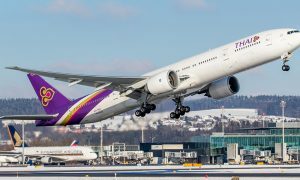 Marking the milestone delivery, Boeing and Thai collaborated to transport 1,000 wool blankets onboard Thai’s newly delivered 777-300ER (Extended Range). The blankets, donated by Another Joy Foundation, will be distributed by the airline to people in need in Thailand during the colder winter months. 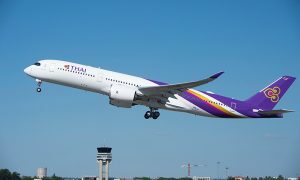 Thai Airways currently operates four 787 Dreamliners and has operated nearly every model of the 777. Thai Cargo was the first carrier in Southeast Asia to utilize the 777 Freighter. The airline has an additional two 777-300ERs on order.